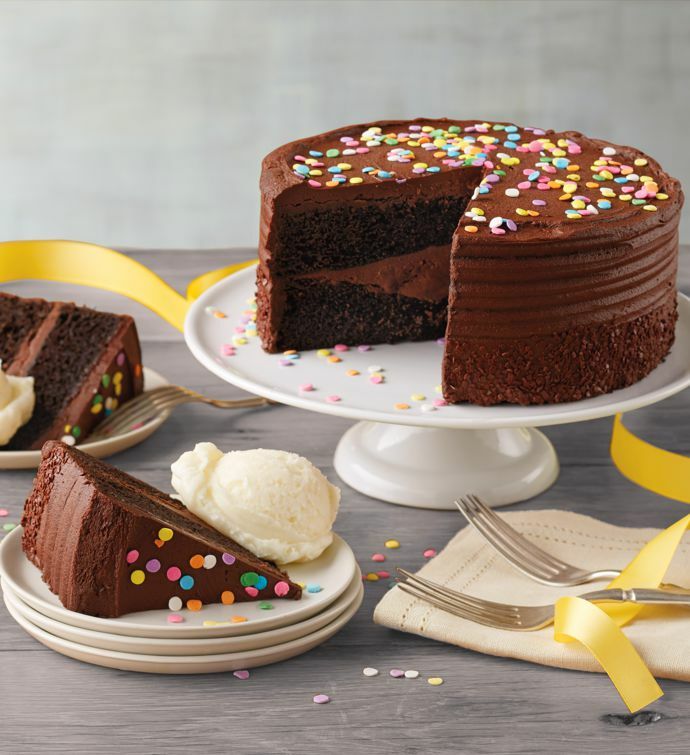 The most memorable celebrations start with the perfect chocolate cake. Made with rich dark chocolate and butter, this decadent treat is crafted in our own bakery, then hand-decorated with cream cheese frosting and confetti sprinkles. It's a wonderful way to wish a happy birthday to someone you love, and it's big enough for a whole party to enjoy.